We have all heard the sayings. We have also all felt the sting of words. Words are very powerful. They have a huge impact on our lives. Today’s prompt for Day three of Diabetes Blog week, asks us to discuss the power of words. How do we feel about the word “diabetic” for example? I always refer to my son has a person with diabetes. “Diabetic” is not a word I have ever used around him or anyone that I know living with the disease. Despite that fact, he will occasionally call himself a diabetic. Does this mean that he seems himself as the disease? No but this condition has been with him for as long as he can remember. It is as much a part of him as his pump, meter and lancing device are. They keep him alive. He has a bum pancreas. He understands that his daily routine is different from others. He doesn’t see it as a major obstacle. Diabetes, diabetic, person with diabetes….they all just seem to be terms to him–terms that really don’t change much. Some people are offended by the use of the word “diabetes”. It is a word that is thrown around by the media and accompanied with a great deal of blame. Diabetes happens to fat people who don’t care about their health. Diabetes is what happens when you feed your child a diet of chocolate bars from birth to age 12 non-stop. Can you see the insanity? To me, the solution is not a name change. The name has been changed–we once had juvenile and late-onset diabetes, and now we have Type 1 and Type 2 diabetes. Another name change personally will change nothing. The attitude and awareness must change. No one should be blamed for their illness. Education must continue. We should unite in that effort not add to the shaming. Cartoons that suggest that if Jimmy had twelve cupcakes and ate ten that he would have diabetes are just wrong. I don’t care that it doesn’t say he will have Type 2 diabetes…it shouldn’t say diabetes period. It is not funny. It is simply cruel and that is wrong. There are words used in diabetes care that matter deeply to me. The words “test your blood sugar” for example. Those are words that I have worked to be exceptionally careful with. “Test” is a word with strong connotations in our society. It suggests a black and white outcome–pass or fail, success or failure. 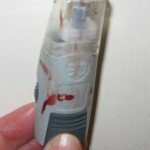 Blood glucose readings are often high or low and sometimes even “in range”. To call the task to get those readings a “test” suggests that the number will show your worth–how good of a pancreas you were. Yesterday we discussed the mental drain of diabetes. For me, equating a reading with passing or failing adds to that burden. It was very important to me, especially remembering that my son has been hearing readings since he was two years old, that numbers be just that…numbers. I tried to stress that readings were tools. They were a reference point to move forward from. A reading that was too high was not a fail, it meant that he needed more insulin and next time we may need to factor in something else when dosing. A reading that was too low as again something to learn from. Of course a reading that was perfect was reason to dance, celebrate and pat ourselves on the back for being just plain awesome. Words are powerful. They can make you feel strong and invincible. They can cut you to the core and make you feel worthless. In life, I try to choose my words carefully. I make mistakes. We all do. I am not hypersensitive to the words that others use. I take my cues from my child and continue to make sure that he is not defined by the word “diabetes” but accepting of a life with this unwanted passenger. The diabetes community is filled with unique uses for common words and phrases. It is common for a mother of a two-year-old with diabetes who is throwing a tantrum to state in a stern voice, “You had better be high Missy! !” They are used to the odd looks that they receive as people are racing to call Child Protective Services on the parent who seems okay with their toddler being “high”. I came across a tidbit today in the Children with Diabetes Humour section that aptly fit this. A family was eating in a restaurant that served alcohol. The five-year-old with diabetes was hungry and impatient. Mom was looking for alcohol swabs to try and clean something off of the child’s fingers. As she rummaged through her bag, Mom began chanting, “Where is my alcohol? I want my alcohol!” For some reason, people looked at them a little funny. Those of us who live with diabetes see nothing strange about this. 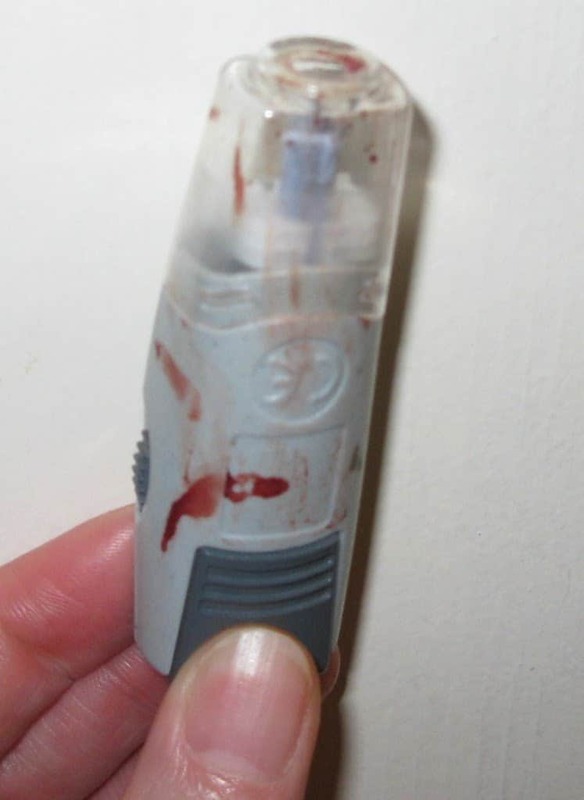 As members of the diabetes community, we are used to blood splattered on our sheets and clothing. We have learned to buy dark sheets and avoid white at all costs. The other day my son took the ignoring blood everywhere thing to a whole new level. I sat down in the living room and spied his test kit on the coffee table (and of course a pile of dead strips). When I looked at his lancing device I was shocked! That thing looked like it had been used in a murder!! I couldn’t believe all of the blood it had on it. It truly looked like it had been part of some sort of deadly attack. When I asked my son about it he was very calm. He saw nothing wrong with the state of his lancet. I was positive that if a police officer had walked in at that moment, he would tear my house apart looking for the dead body. I could give any CSI episode a run for its money in blood splatter! But our oddness seems to be spreading. Our terms that so often sound like something out of a counter-culture…being high, needing alcohol, having a shot, seem to have made their way into main stream media. Last night I was doing some research on an athlete. He is heading to the Olympics but I really knew nothing about him. I found a bit more information last night but my work ended after reading a CTV article. Now CTV is a respected Canadian television network. They discussed the trials and tribulations of this young man…not only is he obviously a little off his rocker for choosing a sport that requires him to ski for FIFTY KILOMETERS (I can’t do 50 meters!) but he is doing it after numerous sports-related injuries and surgeries as well as living with Type 1 diabetes. He is truly amazing but the best, best, best part of the article for me was when they discussed life before his insulin pump. You see in those days he was required to take up to 10 HITS of insulin a day!! I have heard it called a lot of things but even for me, “hits” of insulin took me directly to the drug world and I had to laugh. I honestly don’t care if they want to call it hits of insulin. It doesn’t matter to me if people think I am crazy when I ask if my kid is high. These are things that we live with and maybe using these words that have become so popular in reference to other things will just make this disease a bit more memorable for people and make the ask more questions. Off to check and see how many “hits” my son took today…. Read more humour diabetes tidbits here.